Over the course of Milwaukee’s history community leaders worked to provide the ideal childhood to the city’s boys and girls. Educators, social workers and other child experts believed that every boy and girl should have adequate food, clothing, and shelter, as well as a stable family. The ideal upbringing also required girls and boys to attend school full-time and have access to wholesome recreational opportunities. While adults created polices and institutions to try to ensure the city’s youngsters achieved this ideal, Milwaukee’s children were also advancing their own interests, engaging in community and national debates, and participating in local politics. Girls’ and boys’ political activism and the work of adults to create the ideal childhood and youth are interconnected stories that tell the history of Milwaukee’s children. Even before Milwaukee was officially incorporated, community leaders took steps to meet their responsibilities to the children living among them. The first private school was established in 1835 and the following year two public schools were opened. As the community grew in the 1840s, these one-room schools quickly became overcrowded. A Board of School Commissioners was created; it increased spending and constructed several new schools. By 1848 the city spent over $3,000 on education and had eight schools serving 670 students. Over the next twenty years MPS moved from one-room schools to graded classrooms, built three new high schools, and extended the curriculum. In addition to expanding educational opportunities, Milwaukeeans established an orphanage in 1850 and opened a branch of the Young Men’s Christian Association in 1858. Over the next half-century the YMCA expanded its programs to offer bible study classes and weekly lecture series for boys and young men living alone in the city. City leaders’ concern about children grew as Milwaukee became a major industrial center in the late nineteenth century and thousands of foreign immigrants flocked to the city seeking work. Most of these immigrant families struggled to make ends meet, and in order to survive parents frequently sent their older children to work. In 1880 Milwaukee’s superintendent reported that 80 percent of children over twelve worked full-time rather than attend school. Many of these girls and boys took jobs in the workshops, factories, and tanneries, while others worked as newsboys and messengers. These child workers endured low pay and long hours. In an effort to improve their working conditions many of boys and girls become politically active. Some complained to the city’s newspapers about their difficulties, and in 1903 the city’s Western Union messenger boys went on strike. Despite these efforts little changed for the city’s working children. Between 1900 and 1920 a group of reformers known as Progressives set out to improve the lives of these working children and of all the nations’ boys and girls. Progressives were typically middle class, white, and Protestant educators, social workers, and other reform-minded adults. Milwaukee Progressives convinced the Milwaukee Public School Board to adopt practical lessons that prepared students as citizens and adult workers. To help needy families, they successfully lobbied the Wisconsin legislature to adopt the Mother’s Pension program, which gave government aid to single mothers. By 1921 the Mother’s Pension program provided $700,000 to over 9,000 Wisconsin girls and boys. To ensure children had wholesome play environments, Milwaukee Progressives convinced the City of Milwaukee to develop a supervised playground program; by 1929 there were forty-five in locations all over Milwaukee. Milwaukee Progressives also led the effort to reform the juvenile justice system, establishing a juvenile court just two years after Illinois opened the nation’s first juvenile court in 1899. The court emphasized rehabilitation over punishment, and within ten years the children’s court had its own court room, a children’s detention center, and a legion of full-time probation officers. Progressives saw child labor as the greatest threat to the ideal childhood and dedicated themselves to ending the practice. All over the United States, Progressives won the passage of state laws restricting child labor and by 1899 Wisconsin and twenty-seven other states had at least some form of child labor laws. These laws were typically ignored by both employers and poor families who needed children’s income in order to survive. In response, Progressives worked to persuade poor children and their parents of the benefits of staying in school. In newspapers and school publications, educators and other Progressives argued that more education would lead to better pay. This effort had a significant effect on getting children out of the workplace and into the classroom. 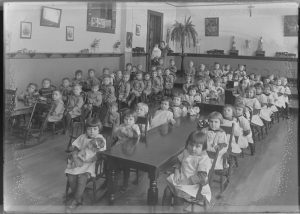 Between 1900 and 1929 the number of America’s children regularly attending school almost doubled and in MPS daily attendance jumped from only 31,707 boys and girls in 1900 to over 74,000 by 1929. Older children comprised a significant portion of the increase. In the past most Milwaukee children had typically left school by the eighth grade to go to work. By 1930, 73 percent of the nation’s fourteen to seventeen year-olds attended classes. Just as more and more boys and girls were leaving the workplace, the Great Depression descended on the nation and devastated children’s lives. 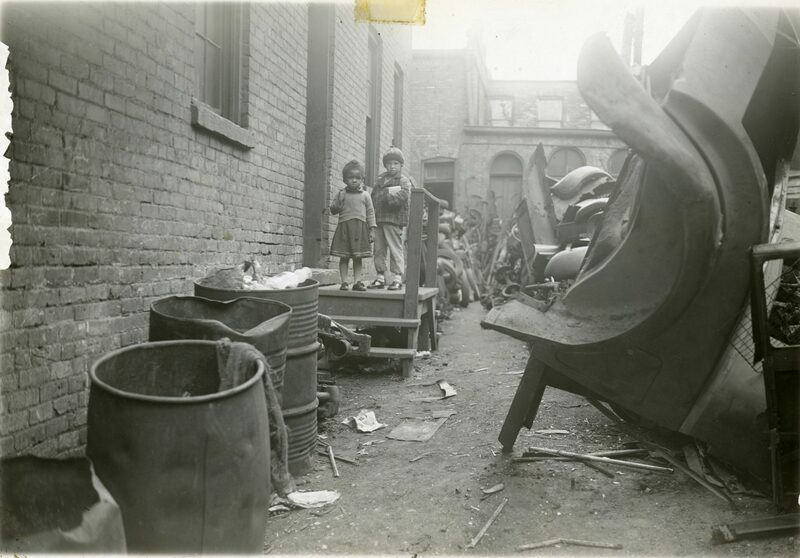 The economic crisis of the 1930s forced millions of boys and girls into poverty. Between 1929 and 1933 the average annual income dropped for American families from $2,300 to only $1,500. A study of Wisconsin families found that per capita income fell by almost one-half between 1929 and 1933. Children also experienced budget cuts and teacher lay-offs in the classroom due to shrinking tax revenue. Youth leaving school in search of work entered an almost jobless world, as one Milwaukee educator described it. In 1934 a full 4.5 million of the nation’s sixteen to twenty-four years-old could not find work; surveys of Milwaukee high school graduates at the time revealed that between 67 and 74 percent were unemployed. In response to the economic crisis President Franklin Roosevelt’s New Deal program used the power of federal government to regulate business and aid the poor. Grace Abbott, Katherine Lenroot, and other reformers in the Roosevelt Administration employed New Deal programs to improve the lives of America’s children. 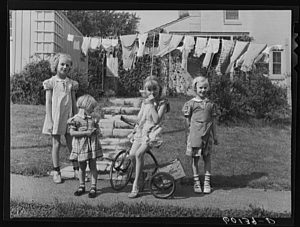 In 1935 the Roosevelt Administration established Aid to Dependent Children, which provided federal support for worthy single-parent families. By 1936 over 2,200 of Milwaukee families were enrolled in the program. The government also created supervised recreational opportunities for children and youth; between 1935 and 1939 fifteen new playgrounds and social centers were opened in Milwaukee. Federal agencies also sponsored summer camps, elementary school clubs, and classes in arts, crafts, music, and dramatics for older children. The New Deal made great strides in the fight against child labor when the Fair Labor Standards Act prohibited the use of child labor in the production of goods shipped across state lines. Another effort to keep teens out of the workplace and in school was the National Youth Administration (NYA), which included a work-study program that provided jobs to poor students so they could afford to purchase books and other school supplies. During the Great Depression over two million high school and college students, including over 55,000 Wisconsin young people, participated in the program. The NYA, the national prohibition on child labor, and the poor economy caused many children to extend their education. 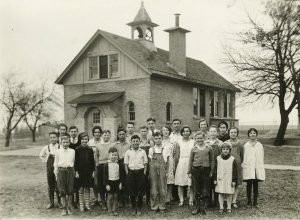 By the end of the 1930s high school became a common experience for most children with 75 percent of fourteen to seventeen year-olds attending high school. While the Great Depression dramatically affected children’s lives, Milwaukee girls and boys did not just wait for New Deal programs to help them. Many children advocated for themselves. Milwaukee boys and girls protested cuts to education budgets, successfully campaigned to reduce school fees, and worked to change NYA policy so that the program better served their needs. The city’s children also collected clothes, books, and toys to help poor boys and girls. New Deal legislation granted all workers the right to form unions and collectively bargain and this helped inspire young workers to insist on better treatment from management. Between 1933 and 1938 farm hands, newsboys, golf caddies, and messengers organized unions and engaged in five strikes involving over 450 children. These protests were effective and won young workers more pay and better hours in four of the five strikes. The Great Depression was followed by another crisis in 1941 when the United States entered the Second World War. The war caused Milwaukee’s boys and girls great fear and anxiety. Some worried when fathers or brothers went off to war, others missed mothers who went to work in defense industries, and still others had to deal with the stress of living in run-down apartments due to the city’s housing shortages. National leaders tried to respond by providing federally funded day-care centers and building public housing, but this did little to reduce children’s anxiety. Despite these difficulties, however, the city’s children contributed to the war effort. To keep up soldiers’ morale children wrote servicemen letters and sent GIs Christmas presents. Boys and girls contributed to salvage drives, rolled bandages for the Red Cross, and served as air raid wardens. Children also supported the war by buying war stamps and bonds. These campaigns were very successful. In 1941-1942 alone Boys Technology and Trade School students purchased over $6,000 in war stamps. After the war, the nation’s economy blossomed. In 1949 the United States had the highest per capita income in the world and unemployment was below 4 percent. This prosperity helped restore Americans’ confidence and many started families. Adults married younger and had more children between 1946 and 1964 than at any other time in the twentieth century. This “baby boom” produced over 76 million babies. Milwaukee’s baby boom helped the city’s population to grow from 587,000 in 1940 to 741,000 in 1960. To accommodate these new children, school districts across the nation constructed thousands of new schools and other buildings, including sixty-nine projects in the city of Milwaukee. Despite these improvements, Milwaukee and many of the nation’s cities had become crowded and run-down by the 1950s and many parents opted to move to the suburbs. A nation-wide poll found that 80 percent of parents moved to the suburbs to provide better lives for their children. During the 1950s and 1960s Wauwatosa, Shorewood, and other existing suburbs exploded in population, while Glendale, Hales Corners, and host of other communities were founded, and Waukesha and other communities transitioned from small towns to suburbs. While many white families moved to the suburbs searching for the ideal childhood, African American boys and girls who were left behind in the nations’ cities were denied the idyllic life due to prejudice and the segregation. African Americans began migrating to Milwaukee to take jobs in factories during the Second World War. The migration increased in the late 1940s and 1950s. By 1960 blacks made up 8.4 percent of the city’s population. Restricted to living on the near north side due to housing discrimination, more than 67 percent of the city’s African American families lived in dilapidated housing. MPS required children to attend schools in their own neighborhoods, so housing discrimination led also to the racial segregation of schools. African American parents and educators and their white allies waged a decades-long battle with MPS officials to desegregate the city’s schools. Milwaukee children also joined the fight. On May 18, 1964, 15,000 African American children participated in a one-day school boycott to protest segregation. The following year over 12,000 students joined the week-long boycott of MPS. Over the course of the walk-out, many child protesters attended freedom schools in churches and parks, where they learned about African American history and the current struggle. Other young activists marched outside the homes of the MPS and city officials. In 1966, to keep pressure on MPS and city officials, 500 students participated in a one-day boycott of North Division High School and several youth joined in a demonstration over the construction of a new school in a white neighborhood. With the help of these young activists, victory was finally secured in 1976, when the federal courts ordered the integration of the city’s schools. Children’s participation in the school desegregation fight inspired many children and youth to join the broader battle for civil rights. The NAACP Youth Council had been organized in the late 1940s, but in the early 1960s, led by Alberta Harris and several other African American students, it became more active in anti-segregation actions. In 1966, for instance, it protested membership policy of the Eagles Club, an all-white organization with many prominent Milwaukee leaders as members. These protests became very tense when whites held counter-protests and screamed racial epithets at the young protesters. While the protests did not change the Eagles Club membership policy, it did energize the Youth Council. In 1967 the organization targeted housing discrimination in the city. They began the campaign by protesting in front of Milwaukee aldermen’s homes, then expanded the protests to neighborhoods where home owners refused to rent or sell to African Americans. The housing demonstrations lasted over 200 days and eventually helped bring about the passage of a city ordinance banning discrimination in housing. The Milwaukee protests also helped push Congress to enact a national open housing law in 1968. The civil rights protests in Milwaukee and around the nation focused Americans’ attention on urban poverty. In an effort to aid underprivileged families, President Lyndon Johnson ushered the Great Society program through Congress. This wide-ranging plan included numerous programs designed to improve the lives of poor children. A more efficient and effective program to aid poor families was created, new public housing was built, and aid to education was expanded, including the establishment of Head Start, a program to help prepare four and five-year-olds for school. Over 1,200 Milwaukee children participated in a 1965 Head Start summer program and by the 1990s over 14,000 Wisconsin boys and girls were enrolled in the program. In the 1970s and 1980s, Milwaukee was devastated by factory closings, which led to high unemployment rates and forced many children into poverty. By the 1980s 25 percent of Milwaukee’s families lived below the poverty line and over half of MPS students qualified for the federal school lunch program. To help their children get closer to the ideal childhood, many parents turned to federal programs that Progressives and New Dealers had created such as Aid to Families with Dependent Children or Great Society programs like Head Start. However, for many city children the future looked bleak; intense poverty and the high youth unemployment rate created little hope for the future and some desperate children turned to gangs. By 1986 Milwaukee Police estimated that there were between seven and eight thousand gang members in the city, with most being between fourteen and twenty-two years old. In response, the MPD created a special Gang Squad and city leaders worked to keep children out of gangs by creating afterschool activities and helping youth find jobs. Some youth joined in the fight against gangs by organized chapters of the Guardian Angels, a group of mostly young people who patrolled the streets trying to prevent vandalism, violence, and crime. At the dawn of the twenty-first century children living in the Milwaukee area had two very distinct experiences. Children in the city of Milwaukee were more likely to belong to minority groups and to be poor, while boys and girls in the suburbs were more likely to be white and affluent. The significant migration of Latino Americans and Asian Americans to the community in the late twentieth and early twenty-first centuries helped Milwaukee become a “minority-majority” city, and by 2008 minorities made up 53 percent of the city’s population. The population shift was particularly dramatic among Milwaukee’s children, as minority boys and girls under ten-years-old outnumber white children of the same age by a three to one margin. Many of Milwaukee’s residents were also poor, as the community never fully recovered from the loss of factory jobs. Twenty percent of people in Milwaukee County lived below the poverty line, and 83 percent of MPS children received free school lunches. These poor children depended on government programs, frequently went to underperforming schools, and faced the temptations of gangs. However, in Milwaukee’s suburbs and the city’s richer neighborhoods many boys and girls were living close to the ideal childhood Progressives envisioned in the 1890s. The suburban poverty rate was very low; in Waukesha and Ozaukee Counties less than 4 percent lived below the poverty line. Most suburban boys and girls attended high quality schools with many going on to college and were involved in a wide range of supervised activities. By the beginning of the twenty-first century, great strides had been made in achieving the goal of providing some children and youth with the “ideal” childhood; yet, as in most major metropolitan areas in the early twenty-first century, the lives of many children and youth in Milwaukee fell far short of that ideal. ^ William M. Lamers, Our Roots Grow Deep: The Milwaukee Public Schools, 1836-1967 (Milwaukee: Milwaukee Public Schools, 1974), 3-4. ^ Lamers, Our Roots Grow Deep, 4. ^ “Report of the Milwaukee Orphan Asylum,” Sentinel (Milwaukee, WI), December 25, 1851; Max W. Clowers, Checkpoint One Twenty-five: The Story of 125 Years of the YMCA of Metropolitan Milwaukee (Milwaukee: YMCA, 1983), 11. ^ Clowers, Checkpoint One Twenty-five, 11, 45-48. ^ “Compulsory Education,” Sentinel, November 12, 1880. ^ “Boys Do Not Like Order,” Sentinel, March 1, 1908; “To Test Newsboys’ Status,” Sentinel, ca. 1905, Children in Urban American website, accessed 2 July 2015; “Boys Cripple Western Union,” Sentinel, May 13, 1903. On children in the bottle-making industry, see Nicholas J. Hoffman, “Miniature Demons: The Young Helpers of Milwaukee’s Glass Industry, 1880-1922,” Wisconsin Magazine of History 91 (1): 2-13. ^ Wisconsin Board of Control, Aid to Dependent Children’s Law in Wisconsin (Madison, WI: Wisconsin Board of Control, 1922), 10. ^ Milwaukee Common Council, Municipal Government and Activities of the City of Milwaukee, 1929 (Milwaukee: Milwaukee Common Council, 1929), 73. ^ Steven L. Schlossman, Love and the American Delinquent: The Theory and Practice of “Progressive” Juvenile Justice, 1825-1920 (Chicago, IL: University of Chicago Press, 1977), 133-139. ^ Milwaukee Public Schools, Forty-first Annual Report of the Milwaukee Public Schools (Milwaukee: Milwaukee Public Schools, 1900), 101, 136; Milwaukee Public Schools, Seventy-first Annual Report of the Milwaukee Public Schools (Milwaukee: Milwaukee Public Schools, 1929), 94, 132. ^ Elliot West, Growing Up in the Twentieth Century: A History and Reference Guide (Westport, CT: Greenwood Press, 1996), 45. ^ Kriste Lindenmeyer, The Greatest Generation Grows Up: American Childhood in the 1930s (Chicago, IL: Ivan R. Dees, 2005), 15. ^ “State Income Drops in ’38,” Journal (Milwaukee, WI), April 15, 1940. ^ Maxine Davis, The Lost Generation: A Portrait of American Youth Today (New York, NY: Macmillan and Company, 1936), 168; “Youth Is Busy Survey Shows,” Journal, September 29, 1938; Milwaukee Vocational School, Milwaukee Youth Report Their Status: A Study of the Educational and Employment Conditions of 47,349 Young People in Milwaukee Between the Ages of 19 and 25, as of April, 1939 (Milwaukee: Milwaukee Public Schools, 1941), 122. ^ Milwaukee County Aid to Dependent Children Department, Annual Report of Milwaukee County Aid to Dependent Child and Blind Pension Department of Milwaukee County (Milwaukee: Aid to Dependent Child Department, Milwaukee Juvenile Court, 1937), 4. ^ “Wisconsin Works Progress Administration; Women’s and Professional Division Operation Schedule,” File: Projects 9824—Nursery Schools, Box 3, MSS 733, Works Progress Administration Collection, Milwaukee County Historical Society. ^ “Exhibits Substantiating Statements of the Reports on the Wisconsin Student Work Program—January 25, 1941,” File: Wisconsin, Box 2, Entry 176, Record Group 119, Records of the National Youth Administration, National Archives. ^ Steven Mintz, Huck’s Raft: A History of American Childhood (Cambridge MA: Belknap Press, 2004), 239. ^ “Now It’s Students Who Say Schools Must Keep ‘Frills’” Journal, November 21, 1933; “June Grads to Pay $2.50 Class Dues,” Scroll (Washington High School, Milwaukee, WI), March 16, 1932; “Many Athletes on NYA Payroll,” Echo Weekly (Milwaukee State Teachers College, Milwaukee, WI), November 27, 1935; “Marquette U. Students Raps Jobs Hand Out,” Leader (Milwaukee, WI), February 16, 1934. ^ “School Offers to Aid Needy,” Journal, August 29, 1931; “Council Committee Plans Relief Work,” Scroll (Washington High School, Milwaukee, WI), April 26, 1933; Scouts in Drive to Gather Toys,” Toy Loan Center Scrapbook, UWM Archives. ^ “Truck Farmers Face Boy’s Revolt; Radish Bunchers Want More Pay,” Journal, July 21, 1933; “Newsboys’ Strike Ties Up News, Sentinel Deliveries in Suburbs,” Leader, March 19, 1934; “Before Caddy Strike at Tripoli Club Was Called Off,” Journal, July 8, 1943; “Newsboys Strike for Higher Wages,” South Milwaukee Journal (South Milwaukee, WI), March 23, 1934; “Country Club Holding Bag as Caddies Strike,” Journal, May 28, 1937; “Messenger Boys Picket and Parade,” Journal , August 30, 1937. ^ Prelude to Peace,” Cardinal [Yearbook] (Milwaukee: South Division High School, 1945); “Girls’ Club Collects Gifts for Soldiers,” Scroll (Washington High School, Milwaukee, WI), November 10, 1944. ^ “Wartime Training Program Enlarged This Semester,” Oracle (Bay View High School, Milwaukee) September 9, 1943; “Wartime Pursuits,” Cardinal [Yearbook] (Milwaukee: South Division High School, 1943); “Viewites Take Part in Defense Activities,” Oracle (Bay View High School, Milwaukee), March 13, 1942; “Ushers Stationed at Various Posts During Air Raids,” Oracle (Bay View High School, Milwaukee), February 27, 1942. ^ “Mr. Trentlage Tells Ups and Downs of Stamp Sales; Is Proud to Report Large Increase,” Craftsman (Boys’ Technical High School, Milwaukee), May 15, 1942. ^ James T. Patterson, Grand Expectations: The United States 1945-1974 (New York, NY: Oxford University Press, 1996), 61-62. ^ Patterson, Grand Expectations, 77. ^ John Gurda, The Making of Milwaukee (Milwaukee: Milwaukee County Historical Society, 1999), 343. ^ James G. Cibulka and Frederick I. Olson, “The Organization in Milwaukee Public School System,” in Seeds of Crisis: Public Schools in Milwaukee Since 1920, ed. John L. Rury and Frank Cassell (Madison, WI: University of Wisconsin Press, 1993), 88. ^ Mintz, Huck’s Raft, 277. ^ Gurda, The Making of Milwaukee, 340. ^ Gurda, The Making of Milwaukee, 257, 386. ^ Gurda, The Making of Milwaukee, 326. ^ Patrick D. Jones, The Selma of the North: Civil Rights Insurgency in Milwaukee (Cambridge, MA: Harvard University Press, 2009), 75-77. ^ “Boycott of Schools Begins; DA Pledges Prosecutions,” Journal, October 18, 1965; 26: “Freedom Schools Get Over 5,000 Pupils,” Journal, October 18, 1965; “Priest Helps Lead Pupils to Baptist Church,” Journal, October 18, 1965; “Picketing of Foley Will Be Continued,” Journal, October 19, 1965; “Barbee Denounced by Mayor,” Journal October 20, 1965. Louis R. Mercer, “‘In Order to Form a More Complete Society’: Black Students’ Efforts towards Educational Decolonization in Chicago and Milwaukee, 1968” (MA thesis, University of Wisconsin-Milwaukee, 2012). ^ Jones, The Selma of the North, 75-77. ^ Jones, The Selma of the North, 207, 256. ^ Social Development Commission, “Operation Head Start—Milwaukee Evaluation, Summer Program, 1965,” 2; Wisconsin Head Start Association, Head Start in Wisconsin, Annual Report, 1999 (Madison, WI: Head Start Association, 2000), 10. ^ Marc Levine and John Zipp, “A City at Risk: The Changing Social and Economic Context of Public Schooling in Milwaukee,” in Seeds of Crisis, 59-60. ^ “Statistical Picture of Milwaukee’s Gangs,” Sentinel, July 4, 1986. ^ John Hagedorn with Perry Macon, People and Folks: Gangs, Crime and the Underclass in a Rustbelt City (Chicago, IL: Lakeview Press, 1988), 153, 159; “Courts Ready to Get Tough with Gangs,” Journal, July 4, 1982; “Lack of Money a Problem in Curbing Gangs,” Journal, December 12, 1986; “South Side Youth Gangs Concern Center,” Sentinel, August 4, 1983; “Bay View Residents Ready to Fight Back against Gangs,” Journal, February 17, 1983. ^ Department of City Development, Milwaukee City Wide Policy Plan (Milwaukee: City of Milwaukee, 2010), 15. ^ Department of City Development, Milwaukee City Wide Policy Plan, 15. ^ Department of City Development, Milwaukee City Wide Policy Plan, 19; Wisconsin Department of Public Instruction, “News Release, May 28, 2014,” Wisconsin Department of Public Instruction website, http://dpi.wi.gov/sites/default/files/news-release/dpinr2014_54.pdf, accessed August 11, 2015. ^ Department of City Development, Milwaukee City Wide Policy Plan, 19. Dahlk, Bill. Against the Wind: African Americans and the Schools in Milwaukee, 1963-2002. Milwaukee: Marquette University Press, 2010. Marten, James. 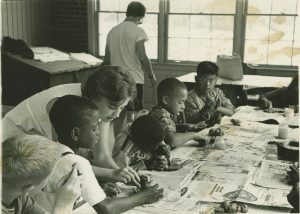 Children in Urban America, http://www.marquette.edu/cuap/. Mintz, Steven. Huck’s Raft: A History of American Childhood. Cambridge MA: Belknap Press, 2004. Rury, John L., and Frank Cassell, eds. Seeds of Crisis: Public Schools in Milwaukee since 1920. Madison, WI: University of Wisconsin Press, 1993.